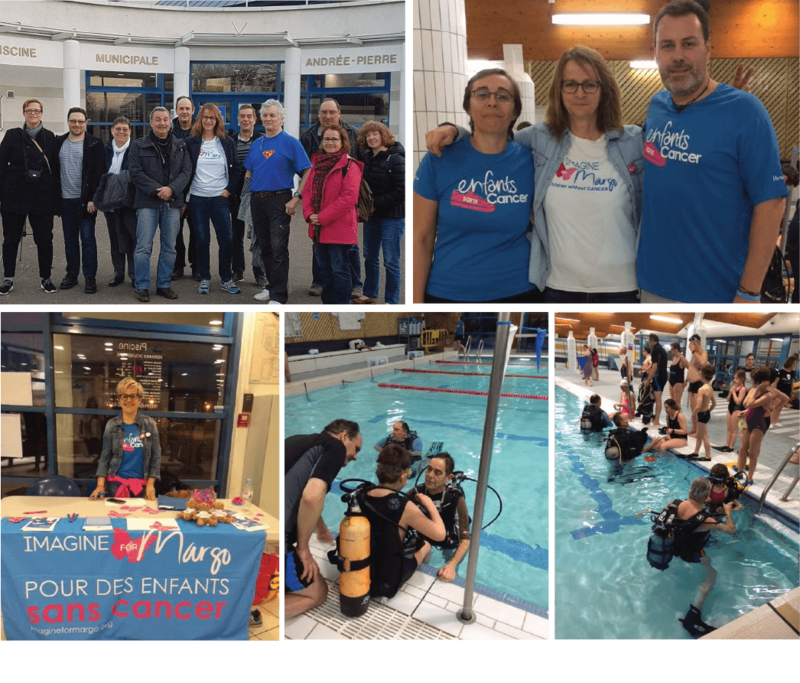 Thanks to the mobilization of our ambassador Christine, our volunteers and dive instructors: it was a beautiful aquatic evening! Diving, aquagym, aquapalmes were appreciated by the participants who came to make bubbles for Imagine for Margo. A big thanks to the City of Guyancourt for its support and to the team of the swimming pool of Guyancourt. Go, Swim, Win !